Homes in rural areas far from municipal sewer systems rely on septic tank systems to treat household wastewater from toilets, tubs and sinks. And those septic tanks rely on an enzymatic bacterial action to digest the waste. Indigestible solids in the waste fall to the bottom of the tank as sludge while liquid runs out to a drain field. If you have a septic tank full of sludge, that buildup can interfere with the tank's normal functioning unless it is pumped out. One sure sign that your septic tank requires pumping is water pooling on the surface above the tank and its drain field. A full septic tank can send solid waste into the drain field, clogging leach-field pipes. With no place to go, the wastewater seeps out of the tank and pipe joints in the drain field and rises to the surface. The septic tank eventually becomes so full that it cannot accept any more wastewater. The result is a backup of black, foul sewage into toilets, sinks and bathtubs. 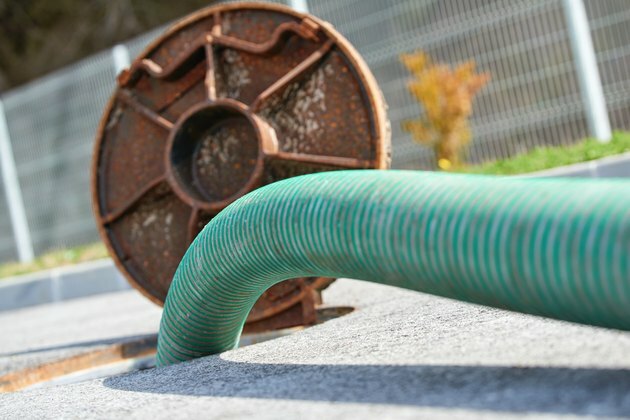 If you spot any of these septic field problems or issues inside your home, it's crucial to pump your tank immediately. Early signs of an overly full septic tank include foul odors from household drains, the drain field and the area above the tank. You might also notice incredibly lush and green grass growth in those same areas. The sewage odor is a strong indicator that wastewater is backing up, which requires a pump out of the septic tank sludge. The excessively lush grass growth results from grass plants taking up the nutrient-rich wastewater. All that green grass may make your lawn look nice, but it's a potentially bad sign for your septic system. The time interval between septic tank pump outs is typically three to five years. But large families, smaller tanks and heavy bathroom and sink use can substantially reduce that interval. So while you can use that timing as a general estimate of when you're due for pumping, you should watch for other signs to know when your septic tank needs to be emptied. Many septic tank cleaning companies offer inspection services and can tell you if and when your tank requires emptying. But before you call for an inspection, locate the septic tank and the inspection ports, digging into the ground if necessary. A septic tank is designed to dispose of human excrement, toilet tissue and bathwater. Dumping other things into toilets and drains can poison the beneficial septic tank bacteria that digest waste, greatly shorten the interval between septic tank pump outs, and lead to premature septic system failure. Don't dispose of hazardous materials such as paint thinners, motor oil or pesticides by flushing them down the toilet. Don't flush non-soluble items such as feminine products, cigarette butts, disposable diapers or kitty litter. And avoid using an in-sink garbage disposal for leftover foodstuffs. Septic tanks can't digest uneaten food, which leads to faster buildup of the sludge that requires pumping. 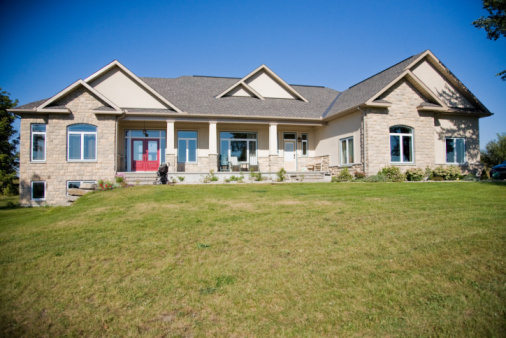 Taking care of your septic system not only keeps it operating efficiently, but it also extends the time between pumping and saves you on the septic tank emptying cost. Watch for signs of a full septic tank, so you can get it pumped early before it leads to problems in the tank or drain field.